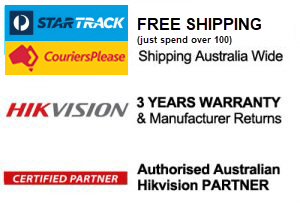 Part of Hikvision’s 2-Line range of cameras, the HIK-2CD2942F-I is an indoor compact fisheye camera that produces an exceptional 4MP high resolution video. Providing an ideal combination of features and affordability, this camera supports 3D DNR as well as built-in IR which provides clarity at night at up to 8m. With its 1.6mm fixed lens, it covers 180 degrees providing an excellent overview of medium sized areas. Rigorously tested, Hikvision’s 2-Line generation cameras have been designed to deliver 24/7 video surveillance with the clarity you expect from a Hikvision network camera. Part of Hikvision’s 2-Line range of cameras, theDS-2CD2955FWD-I is an indoor compact fisheye camera that produces an exceptional 5MP high resolution video. Providing an ideal combination of features and affordability, this camera supports 3D DNR as well as built-in IR which provides clarity at night for up to 10m. With its 1.6mm fixed lens, it covers 180 degrees providing an excellent overview of medium sizes areas. The HIK-2CD63C2F-IS is an indoor fisheye camera that is designed to single-handedly capture images from every corner of a particular location and eliminate blind sports. It features a progressive scan CMOS sensor to provide high-resolution images of up to 12 megapixels (4000×3072), and a fisheye lens for a 360 panoramic or multiple de-warped views. Additionally, IR functionality provides up to 15m IR distance of visibility under low or even zero-light conditions. 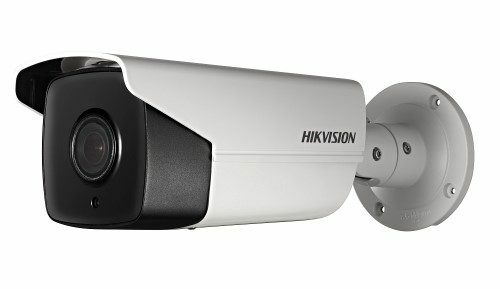 Rigorously tested by Hikvision, this camera is a great choice for applications that require detailed coverage of wide, open areas like airports, shopping malls, parking lots, retail stores, offices, restaurants, classrooms, and more. The Hikvision HIK-2CD63C2F-IV is a vandal proof 360 degree panoramic camera that has been designed to single-handedly capture images from every corner of a particular location and eliminate blind spots. Featuring a progressive scan CMOS sensor, it provides high-resolution images at up to 12MP (4000×3072). Additionally, this camera is capable of streaming multiple de-warped streams allowing for virtual PTZ functions. With IR functionality that provides up to 15m IR distance or visibility under low or even zero-light conditions, this camera is a suitable as part of solution that requires you to provide detailed coverage of wide or open areas like airports, shopping malls, parking lots, offices, restaurants, classrooms, and more. Part of Hikvision’s 2-Line range of cameras, theDS-2CD2955FWD-IS is an indoor compact fisheye camera that produces an exceptional 5MP high resolution video. Providing an ideal combination of features and affordability, this camera supports 3D DNR as well as built-in IR which provides clarity at night for up to 8m. With its 1.6mm fixed lens, it covers 180 degrees providing an excellent overview of medium sizes areas. This 6 MP IR Fisheye features a 1/1.8-inch progressive scan CMOS sensor to provide high-resolution images of up to 3072 x 2048 at 30 frames-per-second, and a 1.19 mm fisheye lens for a 360° panoramic view. The Hikvision DS-2CD6332FWDIV is a 3MP Outdoor Fisheye Camera that comes with 360, 3D DNR, WDR, IR, IP66 and Panoramic Capable features.